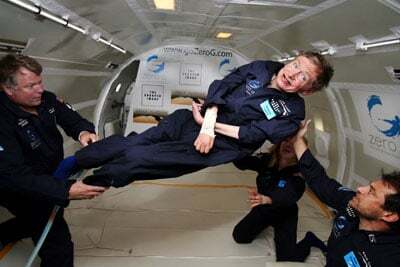 I think it was cool that Stephen Hawking got to experience being weightless. Ya, I bet that was out of this world! World-famous physicist Stephen Hawking experienced eight rounds of weightlessness on Thursday during a better-than-expected airplane flight that he saw as the first step toward a trip in space.